Adam Stevens would reportedly put his hands under his baby son’s arms, grab him, and shake him, testified Stevens’ the reported former girlfriend and the baby’s mother, Crystal Anderson. Stevens, 29, who is reportedly accused of abusing and killing nearly 3-month-old Kian Stevens, also would toss Kian into the air, she said. She said she told him not to do such things, warned him of “shaken baby syndrome” and took Kian from him when she witnessed this activity. “He said, ‘(Kian is) not going to be a sissy. He has to toughen up,’” she said. An attorney for Tiffani Calise reportedly filed an appeal Monday seeking to reverse her murder conviction or grant her a new trial in the 2010 death of toddler Aaliyah Ali, saying the trial judge mistakenly excluded testimony from a defense expert in brain injuries. Calise’s appeal, citing 18 additional claims of trial error, was filed in Akron’s 9th District Court of Appeals. The defense expert, John D. Lloyd, a senior researcher in traumatic brain injuries at James A. Haley Veterans Administration Hospital in Tampa, Fla., testified in a pretrial hearing that he believed the forces created by a slip and fall in a bathtub were strong enough to cause the head injuries that killed Aaliyah. A man reportedly accused in the child abuse murder trial of his girlfriend’s baby daughter stuck to his story and told Henderson police for an hour and 27 minutes that the girl’s fatal head injuries — which crushed part of her skull and caused brain swelling — were caused by reportedly falling out of her playpen onto a carpeted floor. Then Cody Geddings eventually changed his story, explaining a large acetylene tank he had perched on a wobbly chair out in his backyard fell on top of the 16-month-old Addison Weast. During the video played before the jurors, Geddings eventually told officers that he made up the first story and told it to his girlfriend, Jaime Higgons, in order to protect himself because he had been awaiting a child abuse sentencing involving his own son. Bridgett Duncan, 24, and Immanuel Gage Allen, 17, have reportedly been charged with aggravated child abuse. The child, less than a year old, was reportedly transported to an area hospital with injuries consistent with “shaken baby syndrome,” according to Walls. The child immediately was transferred to another Alabama hospital and was listed in critical condition Wednesday afternoon. Duncan is reportedly the child’s mother and Allen is her boyfriend, according to the release. Both currently are in the Marshall County Jail after appearing before Circuit Court Tim Jolley, who set bond at $2 million each. Allen is being charged as an adult. Jacob David Vines, an Elizabethton Tennessee man, reportedly accused of injuring a child in a shaken baby syndrome case, has entered into a plea agreement. Jacob David Vines reportedly pleaded guilty to attempted aggravated child abuse, which was downgraded from aggravated child abuse. Vines, who reportedly remains incarcerated and will be sentenced on Feb. 10. The plea came unexpectedly. Vines was scheduled to appear in court for a motion hearing. Vines reportedly said in the motion that he has been unable to financially support his case in court. Court proceedings began Tuesday to determine whether Jeremiah Gillespie seriously injured a 4-month-old boy or the injuries were caused by previous medical issues. Jeremiah J. Gillespie, 19, was reportedly charged with one count of assault, a second-degree felony; and two counts of child endangering, a second-degree felony and a third-degree felony, in connection with injuries to 4-month-old Gage Koonts. Gillespie reportedly pleaded not guilty to the charges and denied abusing the infant in an interview with Heath police Sgt. Craig Black. "I did not touch him," Gillespie told Black. On March 22, Gillespie was reportedly alone with Gage at their apartment when Gage became tense, convulsed and vomited. Laurelann Claypool, the infants mother, was reportedly at work when the incidents occurred and missed seven messages from Gillespie, reportedly her live-in boyfriend, before returning home. There are reportedly new developments in the investigation into the death of an 11 month old girl in Alabama. An 11 month old girl, by the name of Gemma LaShae Moore was reportedly rushed to the hospital in the early morning hours of January 11th. At the time, investigators reportedly believed her injuries were consistent with Shaken Baby Syndrome. The girl passed away Thursday afternoon. Now, Sheriff Scott Walls says that the preliminary autopsy results reportedly point to a different kind of injury : blunt force trauma. In the wake of the new information, charges against the child's mother - 24 year old Bridgette Duncan were not upgraded. She reportedly remains charged with Aggravated Child Abuse. In another sad story, a young father from Wilkes-Barre reportedly accused of shaking his baby has been ordered to stand trial. The father, Kashawn Butler was reportedly arrested in December after his 3 month old son reportedly suffered and was diagnosed with massive head injuries consistent with Shaken Baby Syndrome. Police reportedly said Butler was feeding the baby when the infant vomited and began crying and reportedly Investigators said Butler admitted shaking the baby. Little Miss Riley, a beautiful strong little girl with a smile that will light an entire room. She continues daily to battle the effects of Shaken Baby Syndrome. Our thoughts and prayers for continued strength in these trying times go to not only Riley, but her parents as well. Now on to her beautiful, amazing story of hope, faith and love. 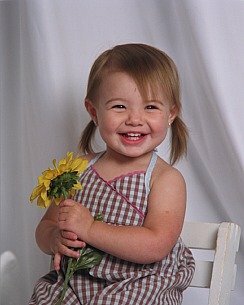 The daughter of Brad and Lisa Gilbert, was a healthy, happy, energetic, beautiful, social, and bright child. She was just over 2- years- old, and was hitting all of her milestones early. There were so many things Riley enjoyed doing- dancing, swimming, coloring, playing with her stickers and play doh (i.e. her “colors”) with daddy. Riley loved her “guys” (little figurines she carried everywhere with her) and her Disney shows and movies. Riley loved to look at books, and could tell me what every picture was. She loved playing with other kids. She had even learned counting in Spanish and some sign language. She loved being outdoors, going for walks, and going to the park to play on the swings and slides. Riley was honestly the model child, I couldn’t have asked for a more perfect little girl. On March 27, 2007 their lives were changed forever at the hands of a day care provider, and family friend. The day started out as any other- we awoke in the morning, got ourselves ready, said our goodbyes, exchanged our kisses and “I love you’s” with Riley’s dad, and left on our way to the babysitter’s home. Before I left that day, I said goodbye and I love you to my little angel and gave her a kiss, as I always did. She was all smiles, in her new purple Gap velour sweatsuit holding on to her yellow sippee cup filled with milk, playing with one of her friends- I’ll never forget that vision, because I will never see my little girl in the same way again. At about 12:20 PM, I received a phone call from our babysitter stating that something was wrong with my daughter, that she had been put down for a nap, and she wouldn’t wake up. My stomach dropped. I asked if she had called 9-1-1- she had not. I instructed her to do so and I immediately gathered my things and ran out of the building. Riley was air lifted to Albany Medical Center that afternoon. It was in the ER that we learned Riley had suffered a traumatic brain injury- we were in shock. She was fine when we dropped her off. They informed us that she needed to be rushed into surgery to save her life, and we immediately gave permission to do so without another thought, anything to save our little girl. The first of many miracles to come over the next year, Riley had made it through surgery- but she was not expected to survive much longer- her chances were slim. If she did survive, there was no way of knowing how she would be, but most likely, she would never be the same child again. The neurosurgeon explained the severity of her head injury and prepared us for the worst- we hoped for the best. We just wanted her to survive. Riley would be fighting for her life over the next few days. We were living every parent’s worst nightmare. Riley was hooked up to a respirator, her little chest jerking up and down in an unnatural way. She had tubes coming out of her nose, mouth, chest and arms. She had bandages around her head where there were endless staples from her surgery- they had removed her left bone plate to allow her brain to swell, and they had shaved half of her hair off. There were monitors next to her bed that showed her heart rate, blood pressure, respiratory rates, and the amount of pressure in her head- the numbers appeared to be constantly changing. There were two poles behind her bed filled with medication delivery devices, at least 5 on each. She had two nurses assigned just to her, sitting right outside her door at all times, monitoring her care. Her little face was so swollen, her eyes were bruised and swelled shut and there was dried blood on her face. I couldn’t do anything other than stand there helplessly, hold her hand, pray and cry. We didn’t speak because the doctors said that she would try to hear us and it would strain her too much to try and focus on anything- they wanted her to rest. The room was dark and quiet except for the beeping of all those machines and the noise of the respirator. During the next 3 months in the PICU, Riley defied the odds and was so strong, she endured more then any child should have to. Her heart stopped beating and she coded twice while I stood by and watched helplessly as doctors worked to revive my daughter- pumping her chest, injecting her with drugs, shocking her little heart. The second time in May of 2007, they had to put her back on the ventilator to help her breathe – at that time they also found a blood clot and spent over a week trying different drugs to regulate her heart rate and blood pressure. She faced surgeries to clean an infection from her brain, to replace her skull plate, to clean up her incision from the initial operation, to have a ventricle drain put in, to have a permanent shunt placed, to insert a feeding tube in her stomach (she had this surgery twice and went to the ER three times to have it corrected), she faced multiple infections in her blood and in her cranial fluid and spent over a month on antibiotics, she spiked high fevers, suffered morphine withdrawal (twice), had tremors so severe they prevented her from sleeping, she was also placed on methadone to help with drug withdrawal. I’ve lost count of the number of CT Scans, EEG’s, MRI’s and other medical procedures and tests Riley has had to suffer through. I stayed at the hospital with Riley the entire time, I couldn’t bring myself to leave her side, I was terrified that I was going to lose my daughter. After leaving the PICU in June of 2007, Riley was finally transferred to a rehabilitation hospital. The first two weeks Riley didn’t do much other than cry both in and out of therapy. There was nothing we could do to soothe her. She was able to get some physical, occupational, speech and recreational therapy but it was very stressful and exhausting for everyone. She couldn’t eat any solid foods, and wouldn’t open her mouth for months. 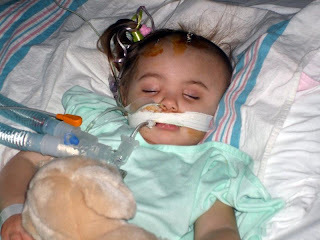 Riley was unable to hold her head up after so many months lying in bed and had no control of her neck or torso. She would drool all the time because she couldn’t swallow properly. She had a condition known as “drop foot” from lying down. Her hands also needed braces and were often stuck in a fist-like position. She would often “tone” which is when she would hold her whole body rigid and then cry. It was difficult to break her of this, and she still does it occasionally, even on medication to control it. On top of all of Riley’s medical issues, my husband and I were considered suspects of this brutal crime, and were pulled from Riley’s bedside on countless occasions to be questioned and to make statements to police officers, social workers, attorneys, and Child Protective Service workers. We were forced to leave our daughter and endure reliving the most horrible experience of our lives over and over again, even on the stand at Grand Jury, Family Court, and finally, over a year later, at the Criminal Trial. Everything in our lives was put under a microscope- our parenting skills and style, our decisions, our family and friends, our pets, our love and care for our daughter. My husband and I eventually had to come to terms with the realization that our friend had in fact hurt our daughter. We’ve had to live with the guilt of leaving our daughter with someone we thought we trusted unconditionally, someone we loved, and someone we considered a friend. We went to trial in April 2008. Riley’s attacker was found guilty and sentenced to 18 years in state prison for the assault. In over two years Riley hasn’t walked, fed herself, or sat up without assistance. She is finally able to say “hi” and “on”. She is legally blind and will face that challenge for the rest of her life. She must take seizure medication and muscle relaxers on a daily basis. She still cannot fully hold her head up for long periods of time, and she still needs to be held or be in a special chair or standing frame that holds her up. Riley is steadily making progress with her eating, and luckily the feeding tube is gone. We have purchased countless sets of braces for Riley’s legs, two special chairs for her to sit in, a special car seat, hand splints, endless medications, glasses and vision therapy. Riley has recently started potty training. She attends an integrated preschool program where she gets physical, occupational, speech, assistive technology and vision therapy. She has a one-on-one aide to assist her in every activity at pre-school. She still attends therapy at the hospital once per week to work on her walking, and is also enrolled in hippotherapy (horseback riding) and swim class. She has faced numerous dental appointments to correct oral issues sustained from months of breathing tubes and her tonic bite, by not allowing us to properly care for her teeth. Riley will have Botox treatments next month to help loosen some of her muscles. Riley’s future is so uncertain, as is the nature of a traumatic brain injury. Every case is different. The brain controls everything, and the healing process is very slow. She faces years and years of continued therapy. My husband and I remain optimistic, because we love our daughter and refuse to believe that this is the way she will be forever. We want our daughter back. We will continue to provide Riley with everything she needs to work toward recovery, no matter what that entails. Every small accomplishment is huge for us. 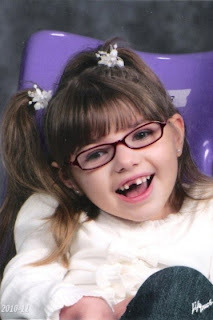 Her smile and laugh gets closer to the one we remember, a simple function that took Riley almost 8 months to gain back. We continue to hope. Riley has proven to be stronger then any other person I know, even at the age of 6. She is my inspiration. The doctors have prepared us for the worst case scenario- that Riley will stop improving, and that she will require assistance with everything for the remainder of her life. My husband and I realize that this may be Riley’s reality, but we choose to take each day as it comes, to be grateful that our daughter is still alive and with us, and to provide her with all of the love and support she deserves on this journey. We will deal with each issue as it comes and are still trying to pick up the pieces, focus on the future, and move on. Reportedly, two Albertville residents have been charged with child abuse. Bridgett Duncan, 24, and Immanuel Gage Allen, 17, have reportedly been charged with aggravated child abuse. Marshall County Sheriff’s deputies and an ambulance were reportedly dispatched to a residence after a report of a non-responsive child. The child, less than a year old, was transported to an area hospital with injuries consistent with “shaken baby syndrome." Kendra Fritsche, 39, was originally charged with committing child abuse intentionally with injury -- a Class 2 felony -- but the charges were amended to reportedly committing child abuse intentionally with no injury -- a Class 3 felony. Fritsche was reportedly arrested in February after a 3-month-old girl in her care was taken to the emergency room at Good Samaritan Hospital in Kearney on Oct. 15, 2010, with a skull fracture. Doctors say the infant also showed signs of shaken baby syndrome. Fritsche will serve 60 months probation, pay $1,551.02 in restitution and pay court costs. Other stipulations of her probation weren't immediately available. A man who was reportedly arrested in February of 2010 for abusing his 3-month old son has been sentenced to 15 years in prison. Andrew Mendoza's son died following the abuse. He was originally charged with murder, among other charges. In September of 2011, he reportedly pleaded guilty to five counts of child abuse and neglect with substantial bodily harm and one count of child abuse and neglect. The child's mother, Ashley Silverberg, was reportedly visiting family in Arizona when Mendoza was arrested. At the time, Mendoza reportedly told police the boy's injuries, which included several bruises and internal bleeding, came after he fell while holding the child in the shower. However, police became suspicious immediately when they noticed the child was dry after authorities arrived at Mendoza's home. Bite marks on the child's body also appeared to come from an adult, police said. In late January, the York County Sheriff’s Department and a number of other agencies reportedly began an investigation into the death of a four-month-old girl after preliminary indications were that the baby died from injuries sustained in an assault. The baby was identified as Kayley Kozisek. Her father, Ryan Kozisek of Gresham, was charged with a Class 1B felony, which was classified as committing child abuse resulting in death. He has pleaded not guilty to the charge and a jury trial is pending. If convicted, he could be facing a possible maximum sentence of 20 years in prison. He is accused of shaking the infant, resulting in fatal injuries. Kozisek said his two-year-old daughter accidentally fell from a foot stool onto the baby, causing the injuries. But doctors at Children’s Hospital said the injuries were not consistent with that theory and all indications show it was a situation of shaken baby syndrome. Every night around 10 o'clock, Steve Stowe heads to a bedroom of his house in Hampton, bends his head and says goodnight prayers to an empty crib. It's a ritual that would break the hearts or the spirits of many of us, but Steve uses it to keep his 3-year-old grandson close, two years after young Jared Patton lost his battle with the fatal, crippling effects of Shaken Baby Syndrome. The ritual also helps Steve refuel for his own ongoing battle to educate the people of Virginia about the syndrome, and to save the lives of other babies before they are shaken to death — or to what amounts to a slow death — by a caregiver. But while Jared lived, his grandparents made it their mission to make every moment as loving and special as possible. Steve has written about that mission in a new book called "Jared's Journey: The Magical Life of a Shaken Baby." It's self-published through Friesen Press. I can't speak to the full contents because I can't get beyond the introduction without choking up. Jared, Steve writes, "endured his expedition to earth to teach my wife, Kathy, myself and many others just how to dance with God. …the magical story of Jared's life here on earth must be shared with anyone who has ever doubted the presence of a God, or the numerous layers of strength that the human body can and will endure." Along with writing this book, Steve and Kathy have been doing what they can to educate others about Shaken Baby Syndrome. They've lobbied state lawmakers to try to get legislation to help educate new parents across the commonwealth. They haven't succeeded yet, but haven't given up. With the help of former Newport News delegate Glenn Oder, a resolution passed the General Assembly last year to study the costs of caring for shaken babies and best prevention practices in other states. The state's Joint Commission on Health Care used the Stowes as a case study, in part because Kathy kept such meticulous records, from every diaper change to every trip to a pharmacy. The study found the couple spent nearly $230,000 over three years — money that Steve said they begged, borrowed and stole, and are still paying back. But the study also found Jared's care cost the state an additional $300,000 a year. It would have cost about three times as much, had Jared been institutionalized, as many shaken babies are. Baby Matthew Thompson reportedly died from severe brain trauma, by way of Shaken Baby Syndrome, and a medical examiner determined homicide was the cause. Matthew’s mother, Lydia Vasquez, is reportedly charged with murder in connection with the incident in a Camden home. Brown eventually lowered her bail from $750,00 to $600,000 cash or bond. Reportedly the baby was unconscious and unresponsive when Vasquez brought him to Cooper University Hospital around 6 p.m. on March 30, 2011. Matthew was reportedly placed on life support and was taken to Children’s Hospital of Philadelphia the next day, but sadly on April 13, he was taken off life support and was pronounced dead around 4:45 p.m.
Medical exams, reportedly showed the baby suffered blunt impact cranial cerebral trauma. The injury would have most likely immediately caused Matthew to lose consciousness and have difficulty breathing. Sadly, A Fort Benning soldier reportedly accused of shaking his 8-month-old son was reportedly charged with murder late Friday after the baby died at an Atlanta hospital, authorities said. The baby, Alexander Cabanayan, was reportedly taken to St. Francis Hospital on New Year’s Day with severe brain injuries and was in critical condition at the time. Joiner said the boy’s mother had reportedly found him unresponsive and rushed him to the emergency room. Shane E. Hinkson, reportedly the father of Alexander Cabanayan, is reportedly charged with murder.